Getting out in the fresh air for a relaxing eighteen holes on the course could be the perfect weekend adventure. As we begin to leave the dark and cold of winter behind us in exchange for longer days and warm sunshine, many golfers may be dusting off their clubs ready to create some magic out on the greens. According to Forbes magazine, over 32 million people are now golfing regularly. With this surge in popularity comes a whole array of new trends. We took a look at what could be grabbing your attention in 2018. The end could be nigh for golf caddies! Golf GPS devices are more available, doing the hard work when it comes to figuring out your distance from the hole and the right club to use. 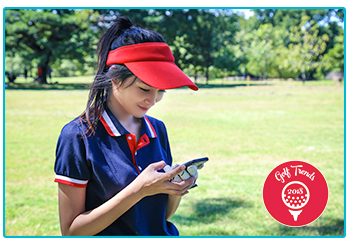 Whether you’d rather incorporate it into a wristwatch or walk the course with a handheld device, GPS devices use satellites to tell you exactly where you are and your distance from the pin. The wristwatch option can be particularly popular simply for its ease of use. Just glance down and pick the right club! These are a little different to the classic range finder devices in that, as opposed to relying on a beam of light to measure, they can tell you where the green is even if you can’t see it. Potentially useful for those golfers whose balls have a habit of going in the wrong direction! What do you get when you cross a golf club and a jumbo jet? It sounds like the start of a joke, however it’s actually a reality for golfers. Callaway were recently looking to create a more aerodynamic club and who better to ask than one of the world leaders in that field, Boeing? The XR16 club is becoming more and more popular on the fairways and could signal the beginning of more partnerships between golf manufacturers and other industry leaders. Not to be outdone, TaylorMade have recently released the M3 and M4 drivers featuring ‘Twist Face’ technology. Put (relatively) simply this means that the face of the driver has been adapted to account for high toe and low heel hits – two of the most common mistakes for golfers. Thanks to the advancements in club technology, you may find yourself a little more on the fairway and a little less stuck in the woods! Whilst playing golf with balls isn’t exactly a new invention, the technology behind them is changing all the time. As you tee off for your first round of the year, you may find yourself wanting to invest in some new balls. Choosing your golf balls can depend on a whole host of different factors, so doing your research and picking the right one might up your game! Titleist could be one of the first names that jumps to mind when you think of golf balls and they’ve released the Pro V1 and Pro V1x this year. Whilst offering lower driver spin, these balls also maintain the short game control that you could be looking for. Speaking of spin, Srixon Z Star and Z Star XV are hoping to offer golfers increased distance and spin, as well as consistency in windy conditions. Hitting that green could be a breeze! 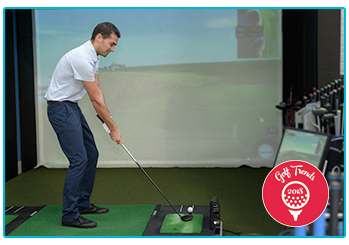 Having been originally created in Watford, Topgolf has gone from strength to strength and is now a global name. Its headquarters are now based in Texas, USA. This could be a much more accessible way of taking your first venture into playing golf if you’ve never tried it before! Topgolf is based on standing in one place and hitting micro-chipped balls into large targets, so you can say goodbye to those long strolls around the course! The closer that you get to the bullseye in the middle, the more points you can score. There are now 44 locations worldwide and plans for more, so you could see one popping up near you in the future. It could be the perfect way for the avid golfer to introduce friends and family to the game! ‘Putting’ the fun into golf! Virtual reality simulators have been widely available for a long time but now some clever folks have come up with the idea to put them in bars! If you want to step onto the course at The Belfry or play a round at St Andrews then this could be the way to make your dreams come true – without breaking the bank! A golf bar could be the perfect place to go on those rainy days, when you don’t fancy a drenching but want to get your golfing fix. It could also be the perfect idea for a golfing fanatic’s birthday party or just a friendly get together. There are venues all over the UK including The Golf Rooms in Newcastle and The Golf Bar in Leeds. A pint and a putt sounds like it could be a great night out! It’s an exciting time of year for golfers, as we head towards spring and the warmer, more golf-friendly weather. Maybe you’re looking to invest in some new equipment for the year, or are starting out from scratch? Golfing can be an expensive hobby, so you might want to think about a golf insurance policy to cover your gear. At The Insurance Emporium, our flexible Golf Insurance offers benefits such as cover for Loss, Theft or Accidental Damage for up to £5,000*. 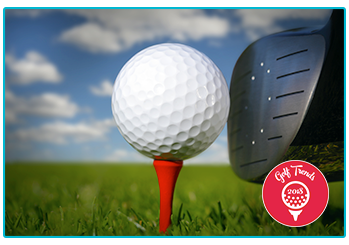 Swing by The Insurance Emporium today to see if we can help you get a hole-in-one on your insurance! *Lunar Monthly on the Portrush level of cover. This blog is in no way sponsored, endorsed or administered by, or associated with Callaway Golf Company, TaylorMade Golf, Titleist (Acushnet Europe Ltd), Dunlop Sports Co. Ltd, Topgolf International, The Golf Rooms Newcastle or The Golf Bar Leeds.